Healthy Merry Living: What Should Christians Know About Essential Oils? 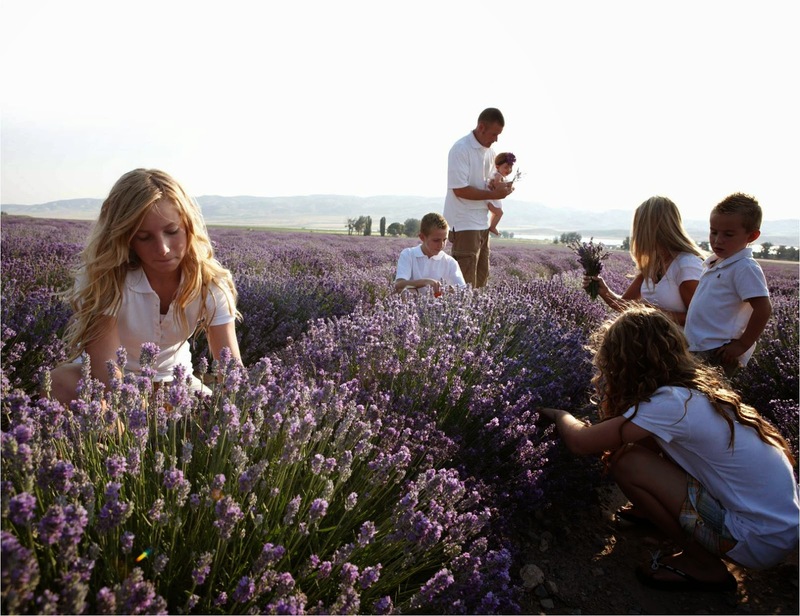 What Should Christians Know About Essential Oils? Many of our HML group members are Christians. 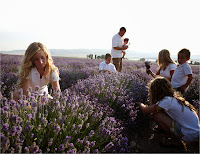 Since Christopher and Katy both have post graduate studies in Theology, we have put together this page to assist our brothers and sisters in Christ in their navigation of essential oil literature. The Christian paradigm and vocabulary is not identical to that of popular society. All are welcome to glean what they can from this page. For more information see A Christian's Guide to Essential Oils. Do essential oils belong to the New Age movement? In the beginning God made plants for food and 'to put a gleam upon his face'(Psalm 104). Man has always relied on these herbs in order to maintain a healthy body. Oil – both fatty oils (olive, coconut, flaxseed, etc.) and aromatic oils (frankincense, myrrh, cedarwood, etc.) - have been used for healing since ancient times. Honor the physician for his usefulness, for the Most High made him; and the art of healing is of the Lord. And the compounder of unguents will make the mixture. Are there confused ideas circulating about the nature of essential oils? Yes, but orthodox Christians clearly differentiate between the nature of God, humans, and plants. Why should I use oils? Oils help support a healthy body in many ways. Oils have been used for thousand years for medicine, beauty, embalming, and emotional wellbeing. Preserving and rediscovering these natural remedies is the ongoing work of doctors and research scientists today. a most essential thing for health to fill the brain with good odors. Disease, suffering, and death are things we inherit from Adam and the sins of the entire human race. To pinpoint fault is impossible, but the good news is Christ came to set us free from sin and death; he came to forgive us, heal us, and restore us to life! Christ has come to heal the whole man, soul and body; he is the physician the sick have need of. His preferential love for the sick has not ceased through the centuries to draw the very special attention of Christians toward all those who suffer in body and soul. It is the source of tireless efforts to comfort them. Are Health and Abundance Valuable? How we view the entrepreneur – as greedy or altruistic – shapes our view of network marketing. Is network marketing the best way to educate a lot of people about the benefits of essential oils? Can essential oils and those who share them benefit the human person and society? 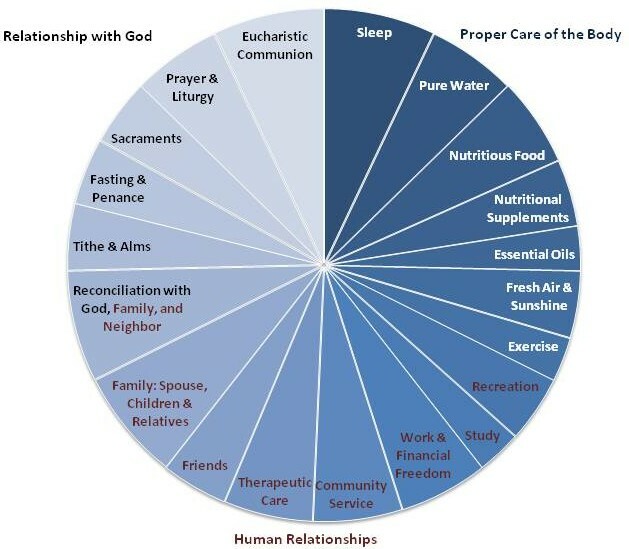 Plant oils are created by God for human flourishing. The medicinal value they contain, while proclaiming God’s creative and unrepeatable genius, are ontologically distinct from God, human persons, and the other orders of nature. Jesus also sent his disciples out to anoint the sick with oil (see Mark 6:13) – the root of our Sacrament of Anointing (see James 5:14). God often heals through both medicine and prayer. God designed plants for food, joy, and health (Psalm 104). Creation – God is “everywhere present and fills all things”, sustaining creation in being according to his design. God is immanent – he is present in and to His creation, yet God is also transcendent – He is distinct. Plants proclaim God’s glory, but plants do not participate in the divine nature. God causes all being and preserves all things in being. Divine Energy (or Uncreated Energy) – God - God’s grace - the uncreated light of Mount Tabor – divine energy is absolutely distinct from created energy (see Energy). Emotions – essential oils affect our emotions because emotions are rooted in the body (Thomas Aquinas). A good hot meal also chemically effects our emotions. At the same time, the emotions are subject to the rational, volitional, human soul. The righteous soul harnesses the emotions for virtuous action. When we rationally choose to utilize the gifts God has given us, e.g. essential oils, to stir our passions, our choice ought to be oriented toward doing good, otherwise our actions will make us spiritually unhealthy – affecting, in turn, our emotional well-being. Energy – the ability to do work. Essential oils are ‘potential energy’ because of the hundreds of ways they can affect the human body. The energy in plants is electrical and chemical - not spiritual, rational, or cognitive. Created energy is finite. Essential oil – the natural, aromatic liquids found in plants that support a healthy human body when consumed through the lungs, skin, or mouth. Therapeutic grade essential oils maintain a high frequency and diverse chemical nature that have nutritional benefits for the human body because God created plants for our well-being. Finite – limited to time and space. The spiritual realm is infinite, the material realm is finite. Physical things are visible & empirical; the spirit is invisible. Frequency – In essential oils, electrical frequency is measured in MHz. The MHz reading of living creatures (human organs, essential oils, etc.) differentiates depending on how many times per second the electrons revolve within a given molecule. Glean – As we read aromatherapy literature and listen to aromatherapy lectures, we need to be able to glean whatever is good, beautiful, or true and disregard the rest. It is rare for anyone to find an author that one agrees with 100%. We use reason, God’s revelation, and the guidance of Christian Scripture & tradition to discern perennial truths about God’s created order. Long, healthy, happy living is incomplete on earth and something we can only hope to enjoy perfectly in heaven. All healing comes through Jesus Christ and through cooperation with His goodness. In His goodness, Our Loving Father has given us plants to heal us, give us joy, and relieve our pains during this life (Clement of Alexandria). Furthermore, it is our Christian duty to do our best to alleviate the pain and suffering of others here on earth because our loving care for one another is an icon of heavenly communion – “where there is no pain, no sorrow, no sighing, but life everlasting” (Eastern Christian memorial hymn). Paradigm – people explain phenomenon and empirical observations according to their own vocabulary and paradigm. Christians cannot expect non-Christians to explain their observations and beliefs using a vocabulary that is foreign to them. It is our job to glean truth from the world by untwisting the false ideas that confuse people and interpret everything in the light of Divine revelation and human reason. Plants – living, finite organisms created by God to provide food, comfort, and medicine for mankind (Psalm 103). In the hierarchy of created being, the plant ranks lower than an animal but higher than a mineral. Like all living things, plants have a chemical make up with an electrical frequency. Plants are created good but suffer the effects of our sin. 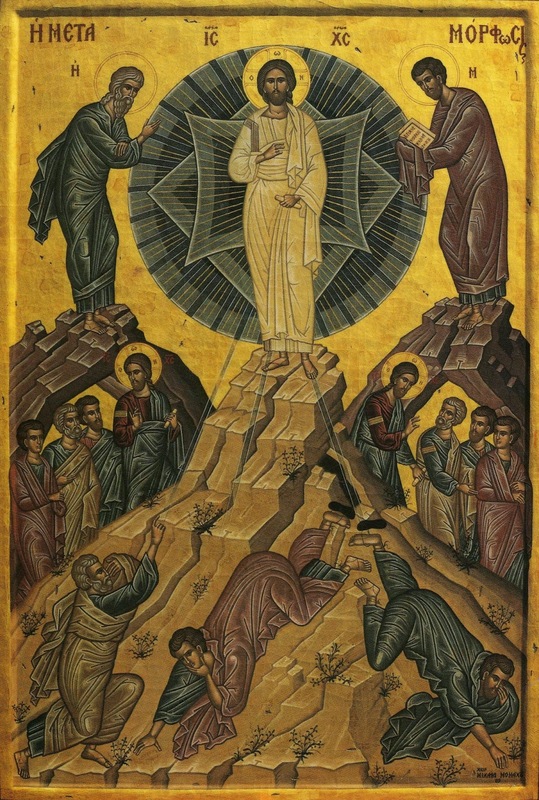 Christ came to renew all of creation. We participate in this total renew through righteousness and good stewardship. Sickness – a consequence of the fall of Adam and Eve. Christ died in order to destroy spiritual death and restore all things to their intended nature, but the baptized still suffer the effects of sin in the world, as well as the consequences of their own sins. Spiritual affects on nature – Our spiritual activity, good or evil, has measurable affects on our bodies because we are created, rational, embodied persons. Our soul is composed of intellect and will (Thomas Aquinas), therefore, a rational decision is spiritual activity. We make hundreds of choices daily which simultaneously affect our spiritual and bodily health. Right ordered actions bring life. Poor choices (sin) bring bodily and spiritual ruin. The effect of our will upon nature is measurable. We pray the “Bless us, Oh Lord, and these Thy gifts” prayer before any topical, internal, or respiratory consumption of essential oils. Christians recognizes that God has uniquely created humans - body and soul. Therefore our health is dependent upon cooperation with God’s creative plan for our lives: to worship God alone, lovingly serve our neighbor, care for our bodies as temples of the Holy Spirit, and cultivate the earth. Young Living can provide part of the well-being continuum, by filling nutritional gaps and offering an entrepreneurial opportunity. Abundant health and happiness are ultimately found in care for body and soul within the context of ordered personal relationships. Healing is a sign of the resurrection of the body. Total healing and eternal happiness come from Jesus Christ, the Divine Physician and Lord of all Ages who provides us with everything we need to flourish - in this life and the next.